The Winter Solstice. In a week. I was still new enough to being High Lady that I had no idea what my formal role was to be. If we'd have a High Priestess do some odious ceremony, as lanthe had done the year before. A year. Gods, nearly a year since Rhys had called in his bargain, desperate to get me away from the poison of the Spring Court to save me from my despair. Had he been only a minute later, the Mother knew what would have happened. Where I'd now be. Snow swirled and eddied in the garden, catching in the brown fibers of the burlap covering the shrubs My mate who had worked so hard and so selflessly, all without hope that I would ever be with him We had both fought for that love, bled for it. Rhys had died for it. After reading A Court of Wings and Ruin, I was desperate to read more about this universe! 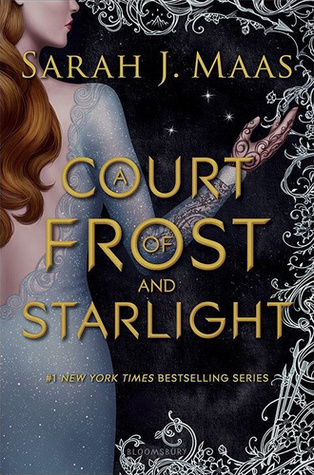 A Court of Frost and Starlight is a short novella, written from different POVs. It was great to see my favorite characters trying to enjoy life after war, and I loved to read from Cassian's POV. As many novellas, it was too short for something really important to happen. There are many problems ahead but it's time to enjoy themselves and be a little sappy. We get to see how great are Rhys and Feyre together, even when they are still healing. All of them are. Someone I started to really dislike in this novella was Nesta. Honestly, I have sisters and love them, but I wouldn't be as patient as Feyre is with her if one of them acted that way. There is a sneak peak from the next book that left my impatiently waiting. I can't seem to get enough of them, specially Rhys. 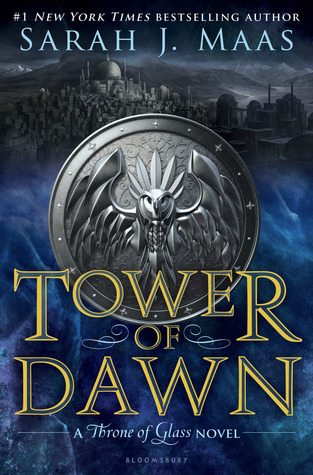 I admit Chaol isn't my favorite character from this series, so I wasn't sure I was going to like Tower of Dawn, which follows the story of Chaol and Nesryn in Antica. The first chapters didn't really caught me, because I wanted to know more about Aelin and not about Chaol or the new characters. But after a few chapters I got caught in the story. A big reason for Chaol to go to Antica was to heal. I was amazed at how the author managed to write about his struggle to heal, not only his legs but his mind. I had a fracture a few years ago on my right arm and had to go to surgery and then to therapy because I couldn't move my hand. It was an awful time of my life and I could understand his awful mood. It made me like him more, understand him. There is a new character very important for Chaol's healing and probably the whole war, which is Yrene. She's a healer and I really liked her. She was very intelligent and even when she had a sad past that made her angry at first, she was really a good person. It was good to see a female character that maybe isn't the best warrior, but is strong in other areas. 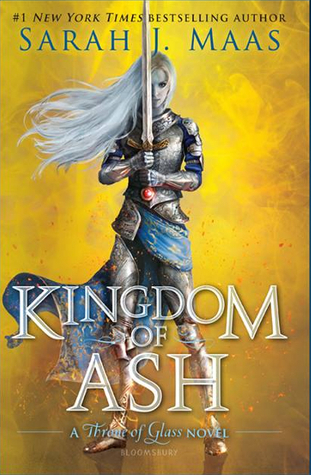 There isn't a lot going on at first, with Nesryn and Chaol trying to convince this kingdom to join their war. The khaganate and his heirs are fierce and not at all very charming, except maybe for Sartaq. None of them seem interested or worried about this dark demons war maybe going after them. But in the other half of the book, there are some BIG revelations that change everything! Jaw dropping! Also, Nesryn and Sartaq started to grow on me. They had so many amazing adventures! Tower of Dawn isn't my favorite book of the series, but it definitely has amazing moments and I'm glad Chaol and Nesryn found happiness after all. Now I can't wait to read the next and final book of the series, it doesn't have a title yet, but is expected to be published October 2018.